​Looking to add an unique spectacle to your event that people will be talking about long after the show? Turn up the heat (literally) by adding fire! Daredevil fire performers will captivate your guests while twirling, spinning and dancing with nature's most dangerous element. A variety of fiery props are manipulated including flaming hula hoops, fans, poi, staves, levitating wands and more. Add a la carte fire eating or breathing for an epic show that will definitely keep your guests on the edge of their seats. Any additional fire artists contracted through Siena Moon are trained professionals insured to perform with fire. In addition, Siena is a licensed Flame Effects Operator in the states of New York and New Hampshire, and holds certifications in NFPA 160 fire code, NAFAA fire safety, Flow Arts Institute fire safety and first aid/CPR training. ﻿Blow away your guests with dazzling cirque-style aerial acrobatics. Choose from the graceful beauty of aerial fabric, the whirling excitement of aerial hoop or tippy hoop, dynamic rope, or aerial hammock which is a great option for venues with lower rigging points. Perfect for adding glitzy elegance to corporate events, weddings, and galas, jaw-dropping aerial performances are something that will definitely make your event one to remember. Not all venues are required to be rig safe - freestanding portable rigging is available by request! Lower ceiling heights can also be accommodated with options like aerial hammock and hoop. ​Let there be light! Get the party started by featuring glowing LED dancers at your event. 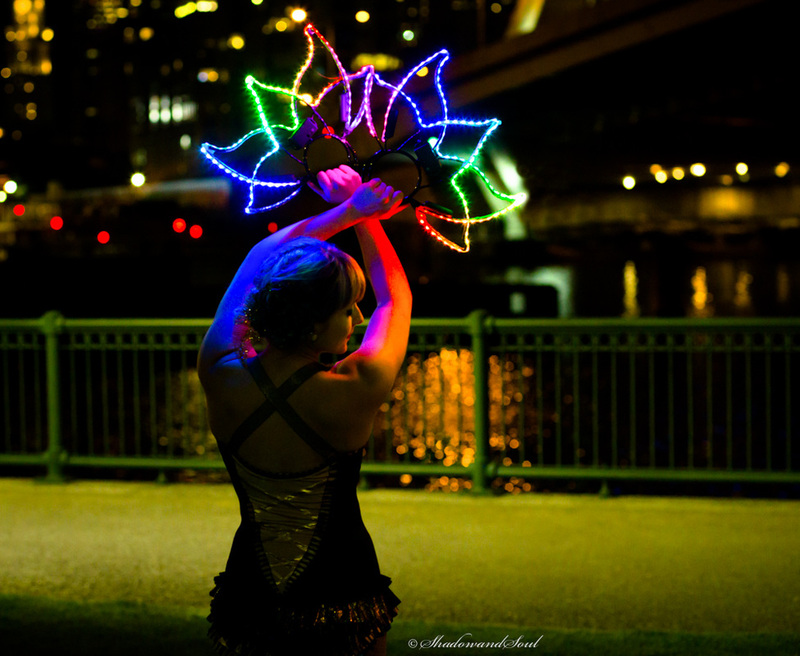 Especially great for night time events, these light shows turn up the excitement factor using a variety of high-quality LED props including hula hoops, poi, levitation wand, and fans. GoGo-style LED dance can add sultry ambiance and is perfect for nightlife and festival environments. 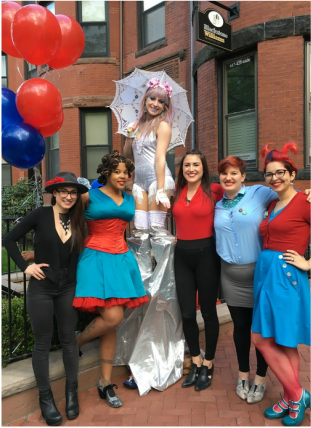 Create an immersive experience for your event with interactive stilt walkers and costumed characters. Stilt walkers are perfect for greeting guests as they arrive and getting them pumped up for the party! During the event, roaming stilt walkers mingle among your guests, posing for photos and providing surprise improv performances. All costumes are fully customizable and handmade to fit your event theme and vision. Costumes can include fun props like parasols, Isis wings, veil fans, bubble machines, giant flowers, LED toys, and more. Your imagination is the limit! ​This isn't the same hula hooping you remembered as a kid! Circus hoop dancing features nimble tricks done all over the body spinning up to 5 hoops at once! Other variations include manipulation of mini hoops, square shaped hoops, hoop juggling, and burlesque hooping for adult themed parties. Perfect for parades, kids events, daytime events, and more!